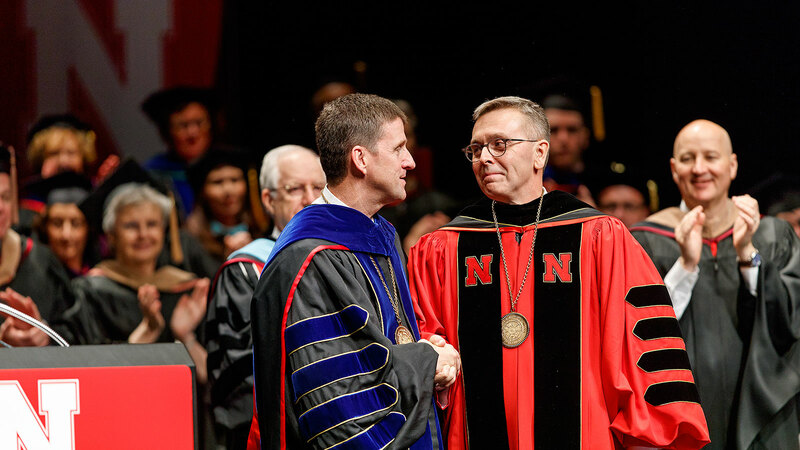 Chancellor Ronnie Green is congratulated by University of Nebraska President Hank Bounds after being formally installed as chancellor. Installation Ceremony for Chancellor Ronnie Green. April 6, 2017. Photo by Craig Chandler / University Communication Photography. 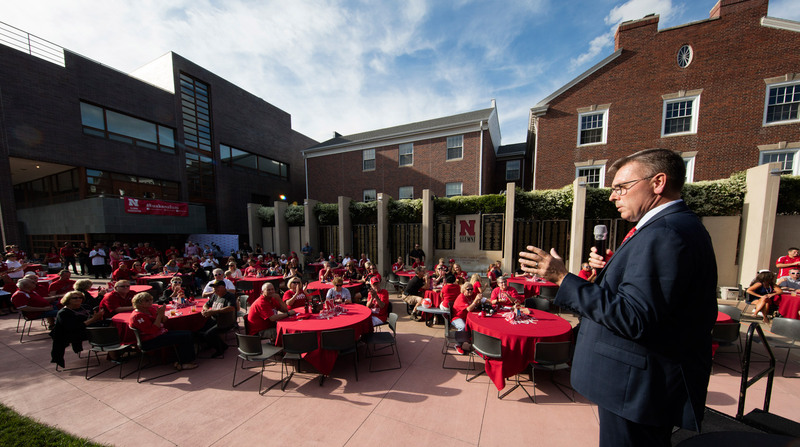 Chancellor Ronnie Green's Installation Dinner was held at Nebraska Innovation Campus on April 5, 2017. Photo by Craig Chandler / University Communication Photography. Vice Chancellor Juan Franco and Chancellor Ronnie Green help cut the ribbon. 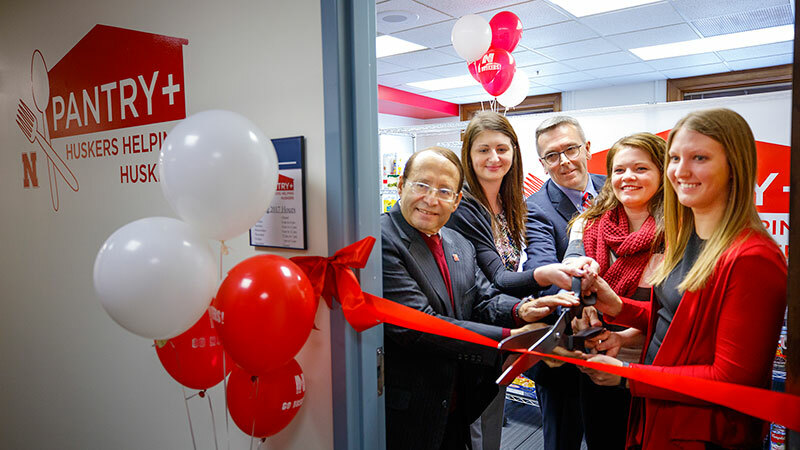 Huskers Helping Huskers on campus food pantry was opened on January 9, 2017. Photo by Craig Chandler / University Communication Photography. Chancellor Ronnie Green greets the seniors on game day. Huskers vs. Maryland football game. November 19, 2016. Photo by Craig Chandler / University Communication Photography. Chancellor Ronnie Green talks to students in the City Campus Union. October 26, 2016. 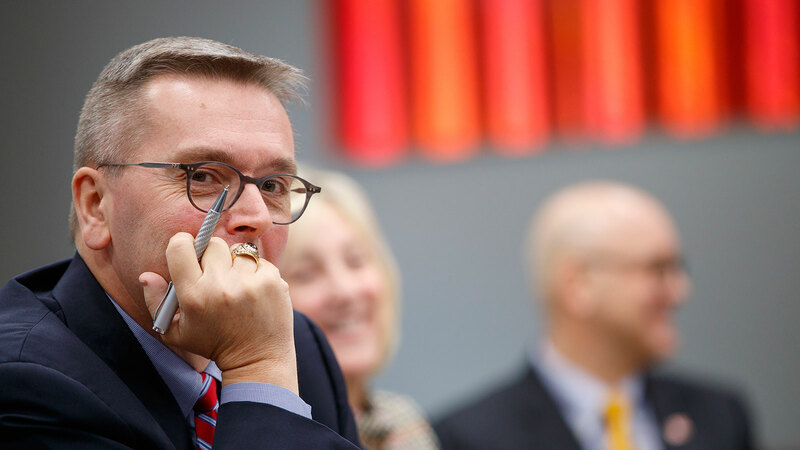 Photo by Craig Chandler / University Communication Photography. 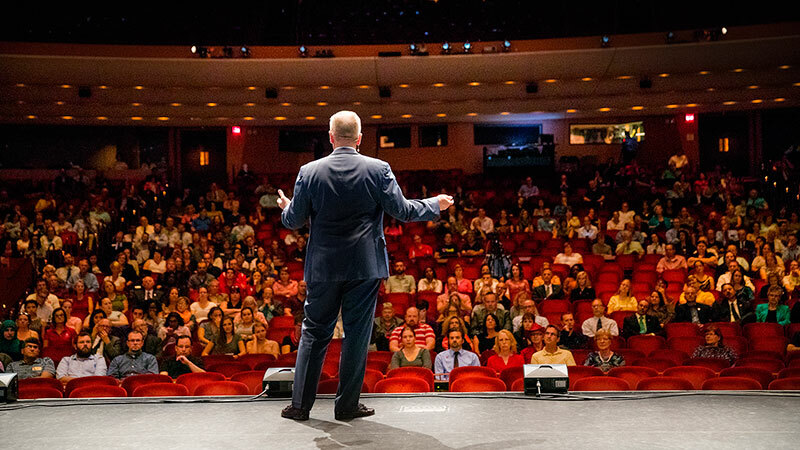 Chancellor Ronnie Green leads the inaugural University of Nebraska-Lincoln leadership town hall Monday morning in the Nebraska Innovation Hall auditorium. October 31, 2016. Photo by Craig Chandler / University Communication Photography. 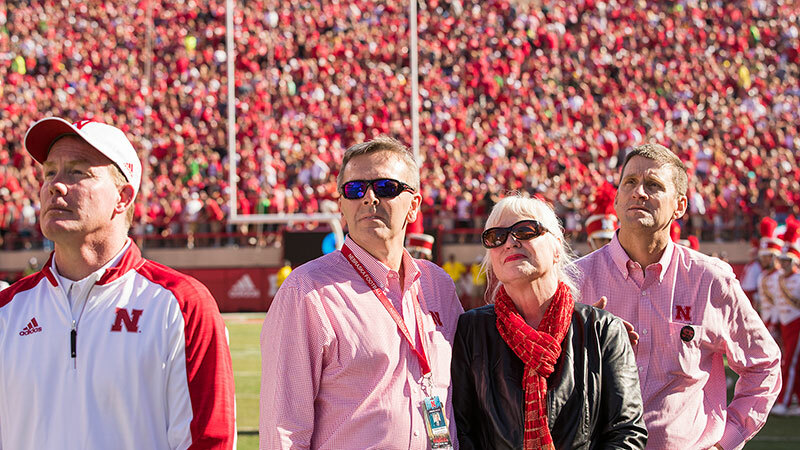 Chancellor Ronnie Green and his wife Jane. Nebraska vs. Illinois football. Homecoming 2016. Photo by Craig Chandler / University Communication Photography. 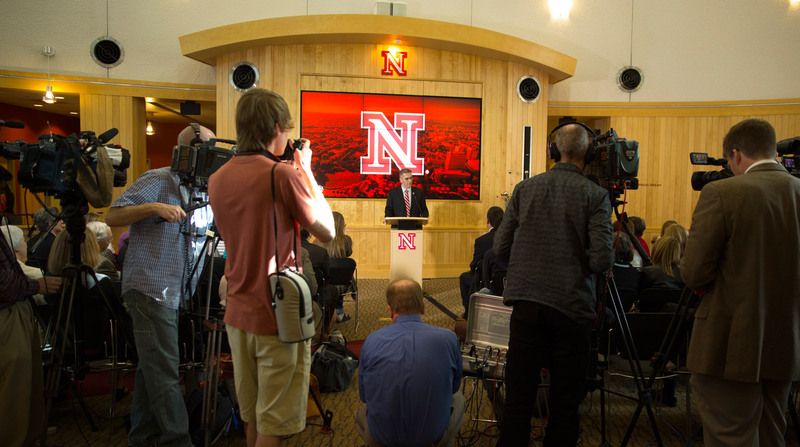 University of Nebraska Chancellor Ronnie Green gives his first State of the University address. September 22, 2016. Photo by Craig Chandler / University Communication Photography. 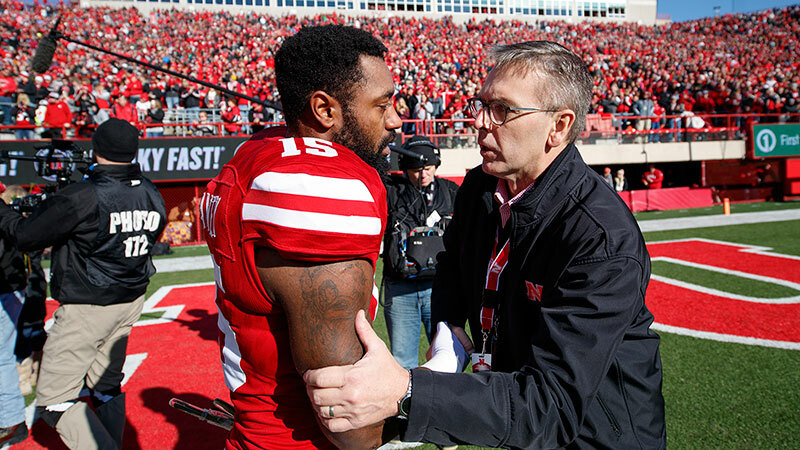 University of Nebraska Chancellor Ronnie Green pats Missi Paul on the shoulder as they watch a video about Missi Paul's late husband, Prem Paul, on the giant screen. 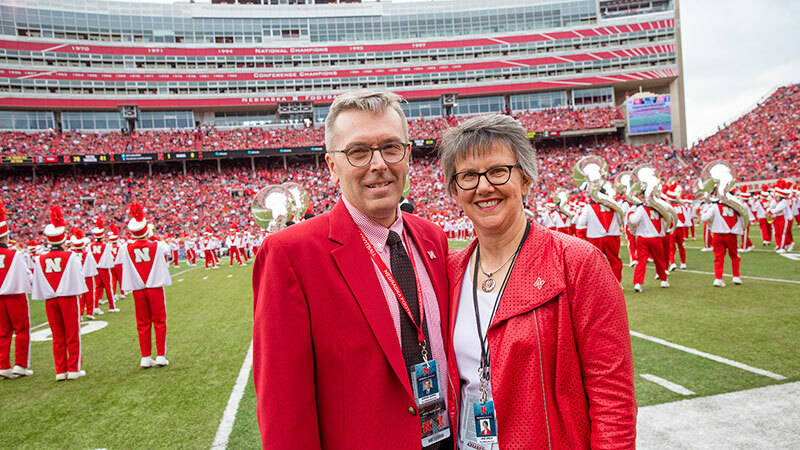 Missi Paul was honored on the field by Green, Director of Atheltics Shawn Eichorst, left, and NU President Hank Bounds for the amazing impact Prem Paul had as Vice Chancellor for Research. Nebraska vs. Oregon football. September 17, 2016. Photo by Craig Chandler / University Communication Photography. Football Friday at the Alumni Association. Huskers vs. Fresno State. September 2, 2016. Photo by Craig Chandler / University Communication Photography. Chancellor Ronnie Green speaks to the Emerging Leaders class about his leadership style. Photo by Craig Chandler / University Communication Photography. 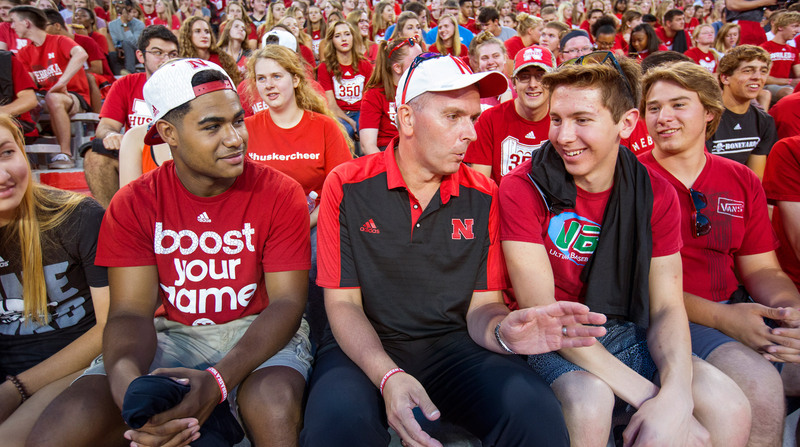 Chancellor Ronnie Green offers some first week advice to freshman Hunter Buresh of Lincoln, right, as he talked with him and sophomores Nicole Schneider and Douglas DeBose before the Bone Yard Bash and New Student Tunnel Walk. Saturday, August 27, 2016. Photo by Craig Chandler / University Communication Photography. 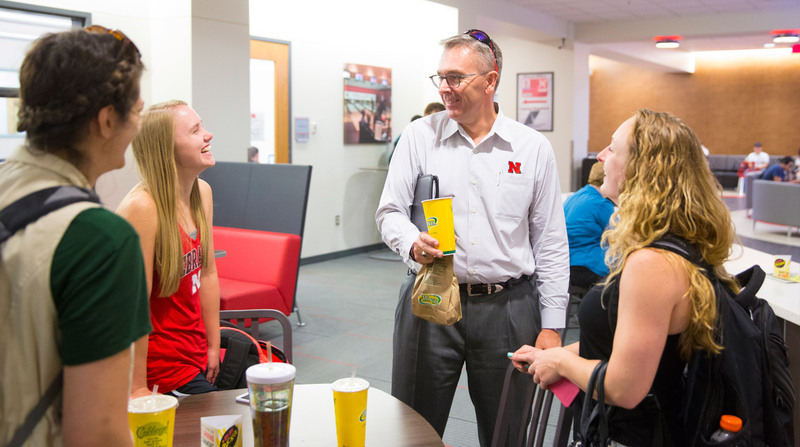 Ronnie Green shares first day experiences with students Hannah Knott, Lauren Gaare and Kelsee Richardson. 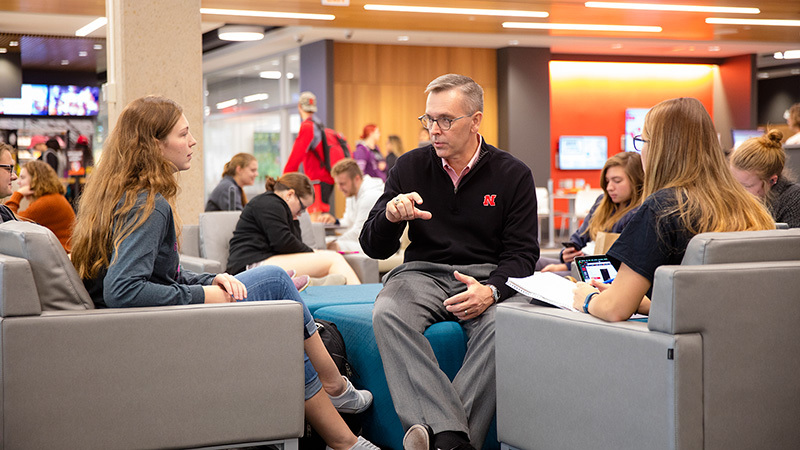 University of Nebraska Chancellor Ronnie Green spent the first morning of fall semester as chancellor sitting in on classes and meeting students. Photo by Craig Chandler / University Communication Photography. 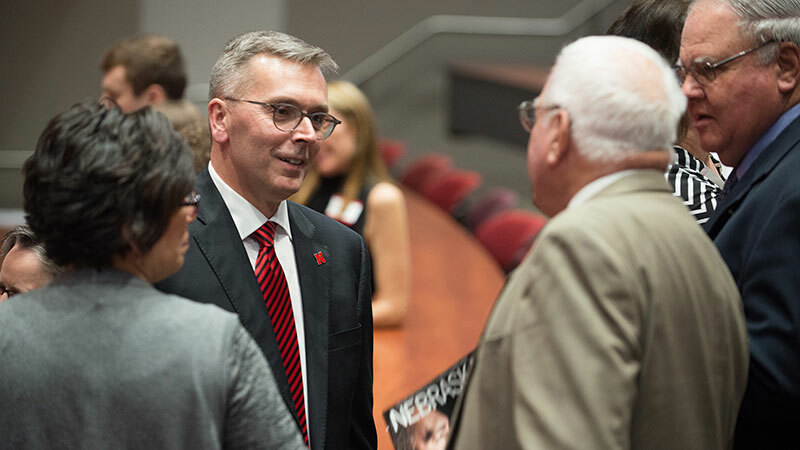 New UNL Chancellor Ronnie Green talks to the crowd after being introduced as the new Chancellor Wednesday afternoon. April 6, 2016. Photo by Craig Chandler / University Communication Photography. 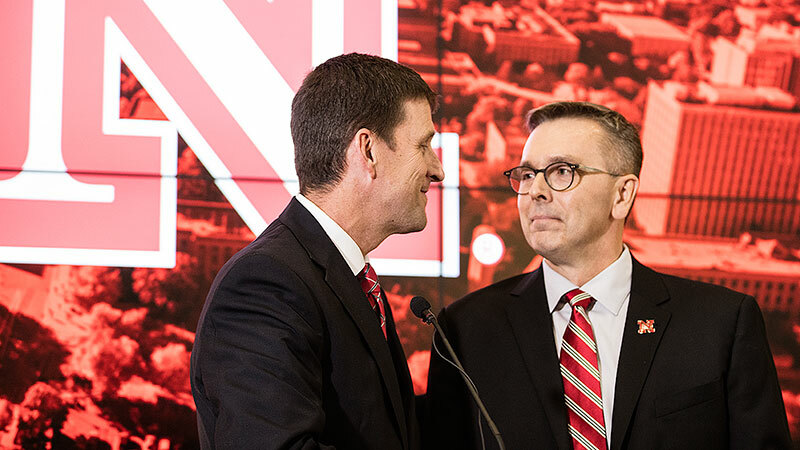 NU President Hank Bounds announces Ronnie Green as the new UNL Chancellor Wednesday afternoon. April 6, 2016. Photo by Craig Chandler / University Communications Photo by Craig Chandler / University Communication Photography. 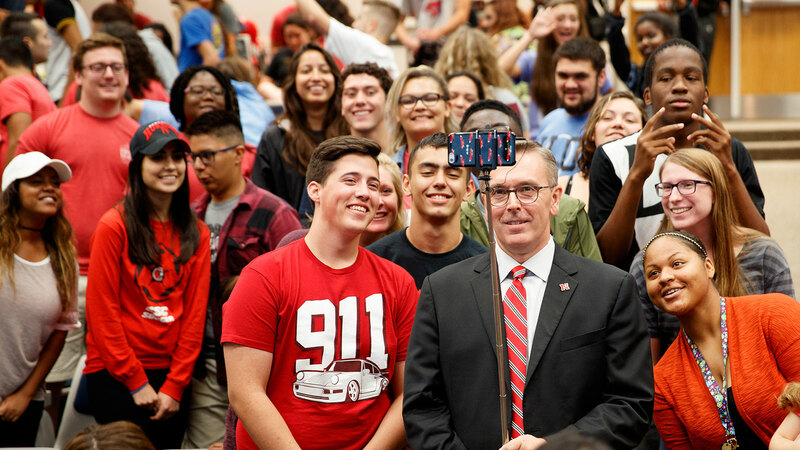 A day in the life of Chancellor Ronnie Green. January 9, 2017. Photo by Craig Chandler / University Communication Photography.